Black Sheep – Ed Perkins and Jonathan Chinn, UK, 27 minutes End Game – Rob Epstein and Jeffrey Friedman, USA, 40 minutes Lifeboat – Skye Fitzgerald and Bryn Mooser, USA, 40 minutes A Night at the Garden – Marshall Curry, USA, 7 minutes PERIOD. END OF SENTENCE. 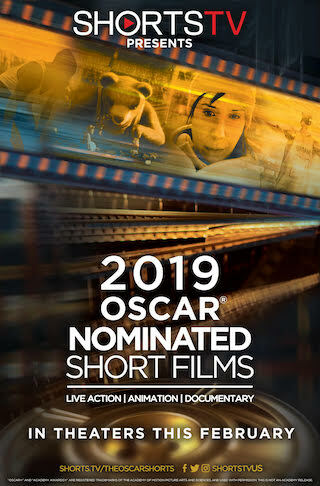 – Rayka Zahtabchi and Melissa Berton, India, 26 minutes For the 14th consecutive year, Shorts HD and Magnolia Pictures present the Oscar-Nominated Short Films, opening on Feb. 8th. With all three categories offered - Animated, Live Action and Documentary - this is your annual chance to predict the winners (and have the edge in your Oscar pool)! A perennial hit with audiences around the country and the world, don’t miss this year’s selection of shorts.